It is the vision of KPBSD Communications to develop a high level of support from the community for KPBSD through proactive, as well as timely reactive, communications with all stakeholders. KPBSD communications' efforts will showcase the educational excellence and community leadership of our KPBSD students. In addtion, the district will be known for its communlty learning centers, and its dedicated and professional staff and teachers who provide a quality 21st century education for all students. In addition the district will be recognized as a good steward of taxpayer investment. KPBSD Communications will help our employees be knowledgeable ambassadors for the district by conveying key messages to the community about KPBSD. Communications efforts will be an ongoing dynamic effort that is continuously evaluated and improved upon. KPBSD Communications exists to help the district and the Board of Education communicate with both internal and external stakeholders. Our mission is to establish positive relationships and credibility between KPBSD and its stakeholders through the timely and accurate dissemination of information. The department also serves as a crucial link between the media and the district in both proactive and reactive news situations. Please contribute your story or story idea to KPBSD communications for possible inclusion in employee or district news, KPBSD social media, or web highlights. Verify that any photographs have been approved by the school for public use. Click to submit online and upload photos or files. Who do you believe goes above and beyond in our schools to meet our KPBSD mission? Please nominate a staff member, volunteer, student, business or community partnership to be recognized for outstanding service and contributions to educating our students. The recognition committee meets on a regular basis to evaluate nominations and Golden Apple Award recipients will be recognized during a KPBSD school board meeting. Please return your nomination to the Communication department office by email, mail, or fax (addresses located at the bottom of this webpage). 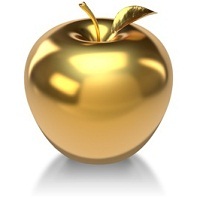 Make sure to read the Golden Apple recognition rubric, and include details and specific stories in your nomination! The recognition committee reviews nominations on a monthly basis; you will be contacted when that process is complete. Thank you for your #golden story about someone who goes above and beyond in or for our schools.